Happy Friday! Sometimes I like to talk about what I am currently into that is not necessarily book related. Here's what I have been up to/thinking about/enjoying lately. 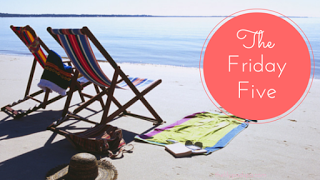 Can you believe I haven't posted a Friday Five since May? I guess it's about time! 1. 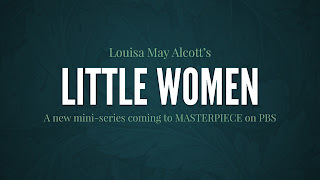 Little Women on PBS - Man, PBS has been killing it in the show department lately. Either that or I am secretly 75 years old. I am loving a lot of their new shows and I am thrilled to hear they are going to reboot Little Women. They recently announced their casting, which seems really spot-on. Did I mention Angela Lansbury is Aunt March? Don't get too excited though, because it's not coming to PBS until 2018. 2. YA Books - Guys, I love YA literature. Some of my favorite books are considered YA. But lately, I have been really disapponted by some of the new releases. In fact, only four YA books have made my best of 2017 list so far. Maybe I should be checking out some backlist YA novels that I've been dying to read. The new ones just aren't resonating with me as much as they used to and they seem to be filled with a lot of cliches and tropes. Anyone else experiencing this? I am definitely in a YA slump. 3. Reese Witherspoon - I adore her, always have, always will. Not only do I love her clothing line, but she also has a book club. I love this about her. Anyone else check it out on Instagram? I am interested in her next selection, which is The Alice Network. Have any of you read it? 4. Audible - My husband has the membership for the year, so he let me sign on to his account. I have dabbled in audio books in the past when taking long car rides, etc, but I have never really been a fan. 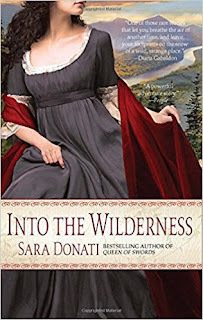 I got sick of listening to some of my political podcasts when I exercise, so for a break, I downloaded Into the Wilderness by Sara Donati. 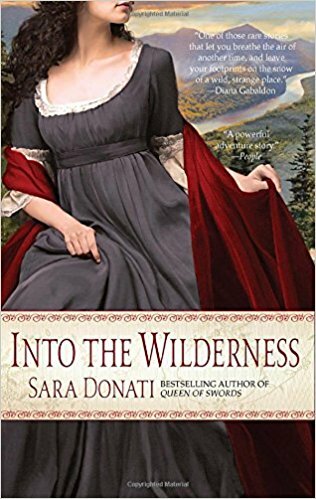 A lot of historical fiction fans and Outlander fans recommended this behemoth book to me and I figured it would last awhile during my workouts. I am loving that I can download the Audible app to my phone and listen to it at anytime. As a mom of two little kids, I can see the appeal of Audible, especially to break of the monotony of laundry, chores, etc. Anyone else a fan? 5. Giveaway: ARC of Cocoa Beach by Beatriz Williams - Although this one wasn't my favorite of her novels (I prefer the Schuyler Sisters series), I still really enjoyed it. The setting of Prohibition Florida was very atmospheric and the last 25% of the novel kept me on the edge of my seat. A lot more of a thriller than I was expecting! This book would be fantastic for vacation! I am giving away my ARC to one lucky US reader. Please refer to my giveaway rules and the deadline is July 24th. Good luck! Me too! I think the casting is spot on. I hope the show doesn't disappoint. Thanks for visiting, Lauren. I love that Reese Witherspoon has a book club, that's so fun! 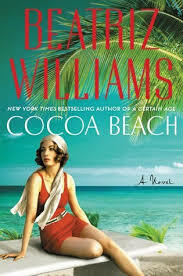 I can't wait to read Cocoa Beach, I love Beatriz Williams. Me too. I secretly want to be her best friend. ;) I hope you enjoy Cocoa Beach--it's a real page turner! Thanks for dropping by, Angela. Christina, I find out about all the fun upcoming shows from you! Little Women!! That's pretty exciting, one of my favorite books---so it makes me a little nervous, too. Hopefully they do it well ♥. Though I'm not sure how they can top young Christian Bale as Laurie. (notice *young* Bale---old Bale is yuck haha). I know! I am so excited too. I was obsessed with the version of Little Women with Christian Bale. I definitely had a crush on him as Laurie. I will definitely have to check out Hoopla. That's so great that it's free! Love that! Thanks for the heads up and for dropping by, Becky! 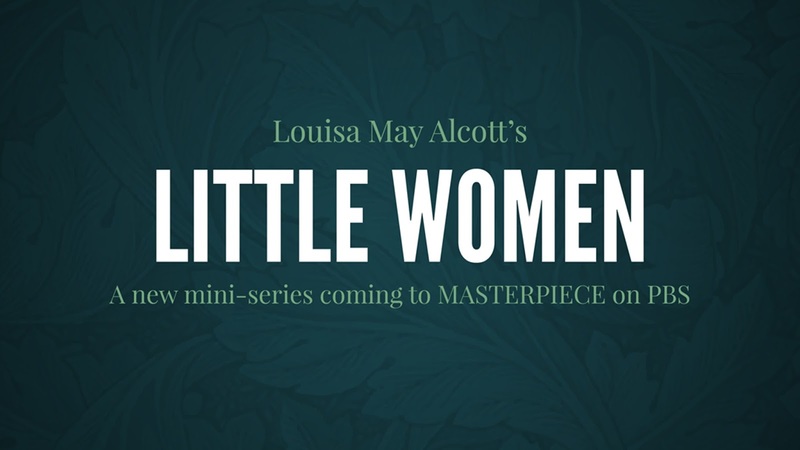 I was thrilled when I saw the news about Little Women. I hope it's good! I haven't read as much YA fiction as I usually do but there are some books that were pretty good and one on my TBR pile that I think will be amazing (The Hate U Give). I am not as drawn to YA fiction as I used to be and I'm being more picky about what I do read. I am currently listening to the audio version of The Alice Network because there are holds on the print version at the library. The story is pretty interesting so far. I have been an Audible member for a few years now. I like to listen to audio books when I commute to work and when I drive to visit my family (3-3 1/2 hours each way). It definitely makes the trip go by faster. It is convenient but I am picky about narrators. I love that Audible lets me return audiobooks if I don't like them. Me too! I am so excited for it. I hope it is good as well. I have heard The Hate You Give is fantastic. I am curious what you think of it. I have heard awesome things about The Alice Network too. I look forward to your review. I am new to Audible, but I am really enjoying it so far. I had no idea bout their return policy- that's great! I could see how an annoying narrator would definitely take away from my enjoyment of the novel. Thanks for visiting, Christina! This whole spring was a book slump for me...but, yes, I've struggled with YA this year. I've had a better time this summer with books in general, but have definitely been trying to read a variety of genres, not just YA. I've always loved Reese Witherspoon, too. I loved her first movie--The Man in the Moon--and watched it practically on repeat when I was younger. Lol. Me too. I don't know if the books aren't as enjoyable or if I have gotten picker. Either way, I have noticed something change this year. I'm glad you agree about Reese. I don't think I have seen The Man on the Moon. It sounds familiar though - I love the older movies from the 90s though. I should check it out! Thanks for dropping by, Natalie! I'd be curious about the Little Women reboot. The movie is one of my favourite things to watch during the Holidays. Knowing that Ms. Lansbury would be playing Aunt March is just a cherry on top. Oh and I looove audible. I'm at my most productive when I'm listening to a book. :) I'm glad you're starting to discover its benefits! I hope you're having a great weekend, Christina! Thanks, Joy! I know! I am so excited for the reboot. I have high hopes. I am a big fan of Audible now. I don't know what took me so long. I hope you have a great weekend!